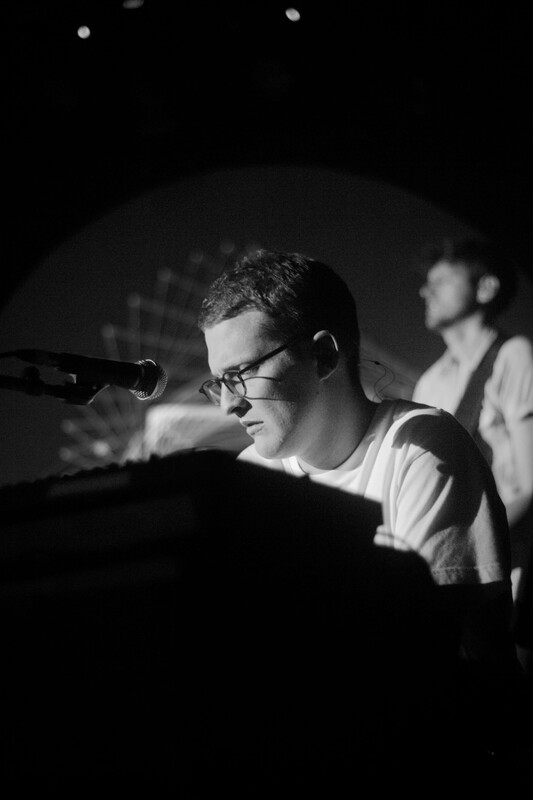 With Mezzanine continuing to boast a stacked schedule this spring, Floating Points put on a production bordering on experimental jazz that was unlike anything else that has come to the Bay Area in 2016 so far. 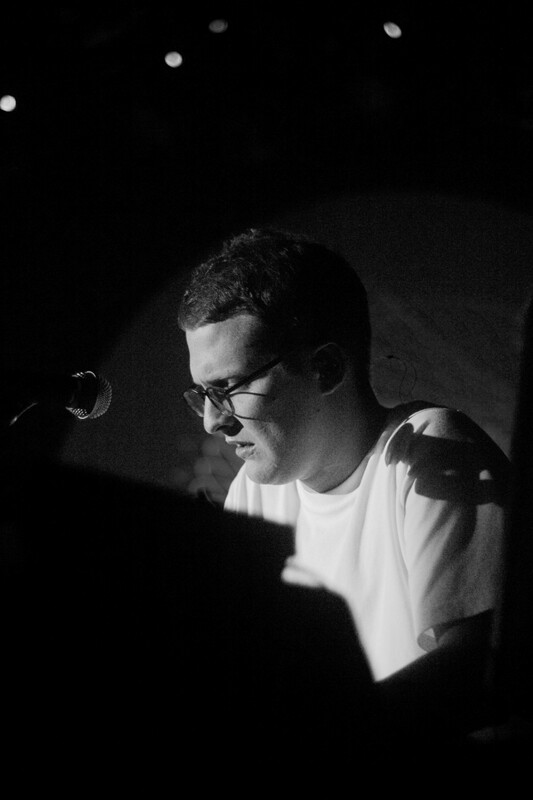 English electronic artist and PhD-educated neuroscientist Sam Sheppard is better known as Floating Points. 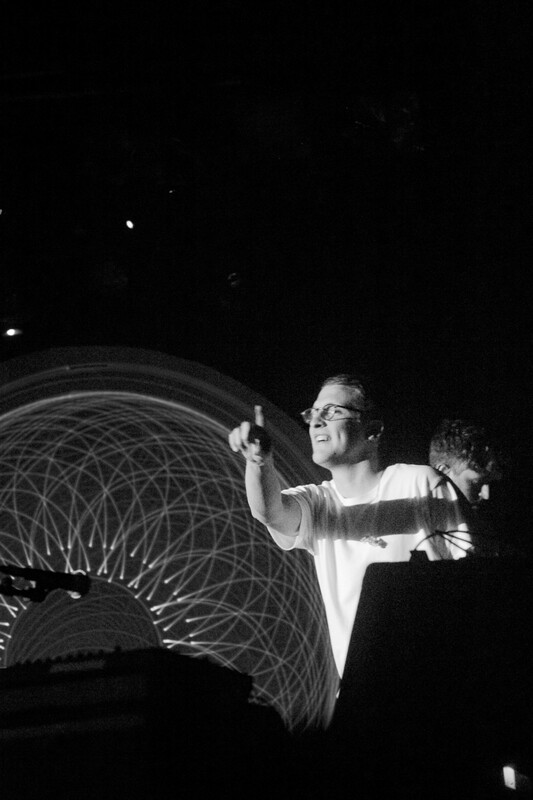 Working in the ever-bustling British scene, his popularity recently rose after the release of his and Four Tet’s six-hour, back-to-back vinyl DJ set, bringing the renowned Plastic People club in London to a close early last year (a set which was also repeated in SF and ended up being my favorite live show of 2015). 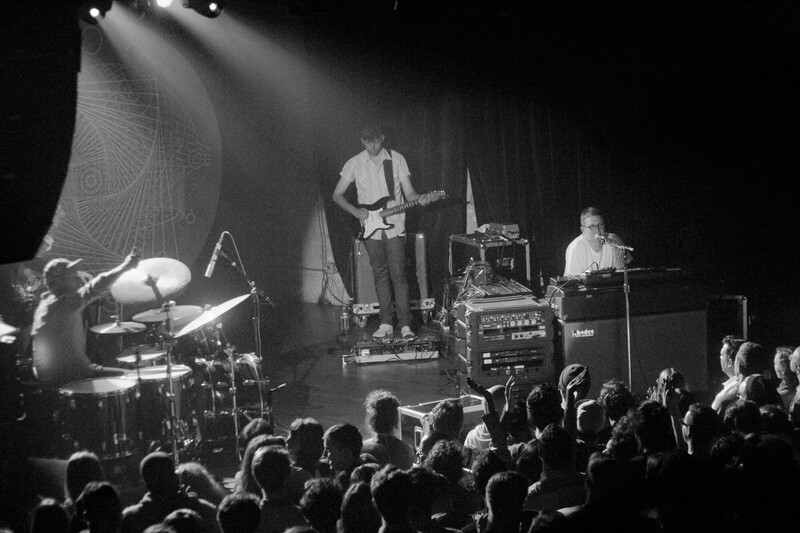 Last month, Sheppard kicked off a North American tour in support of his 2015 album Elaena on the West Coast, playing shows all up and down California. 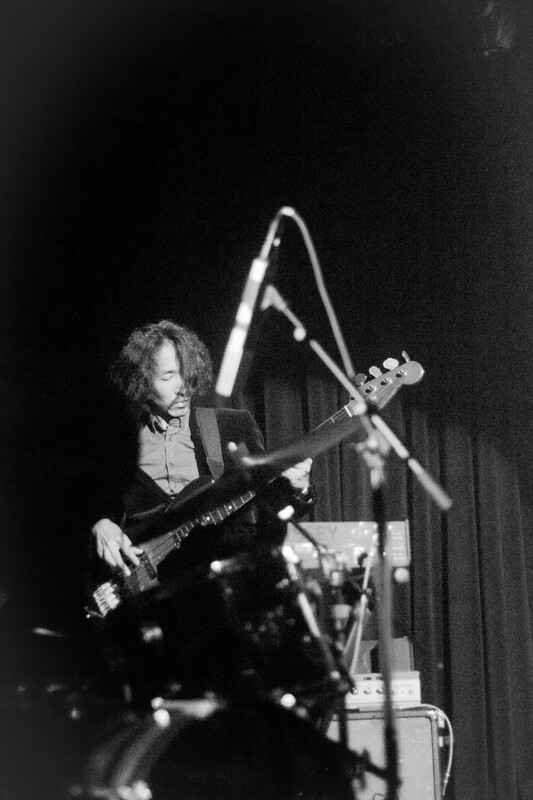 After a great opening performance by Idris Ackamoor & The Pyramids, Sheppard’s live band — a quartet featuring him, two guitarists, a bassist and a drummer — made its presence felt. The eclectic audience, which covered more than one generation of concertgoers, packed the room as the lights were turned extremely low. 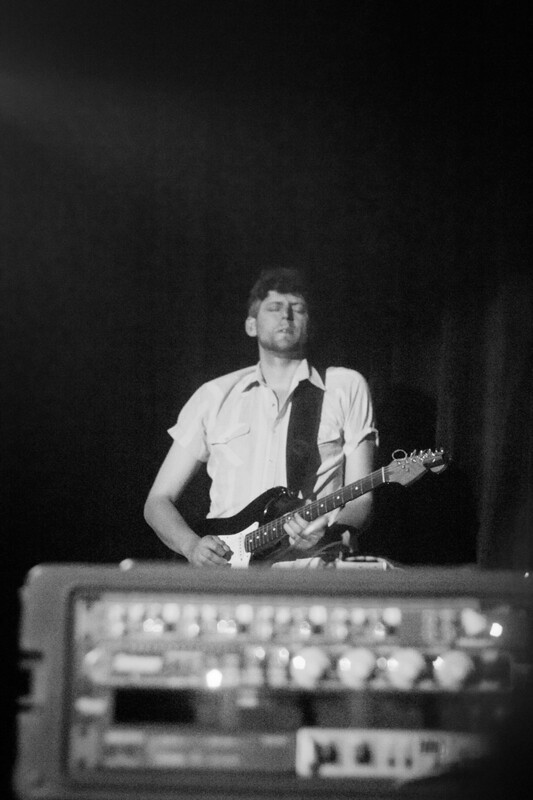 Sheppard then went to work on his keyboard and wall of cables/transistors, filling the room with a gradual wave of sound that swelled in volume and texture before reaching its height as he played “Sillhouettes (I, II, III)”. 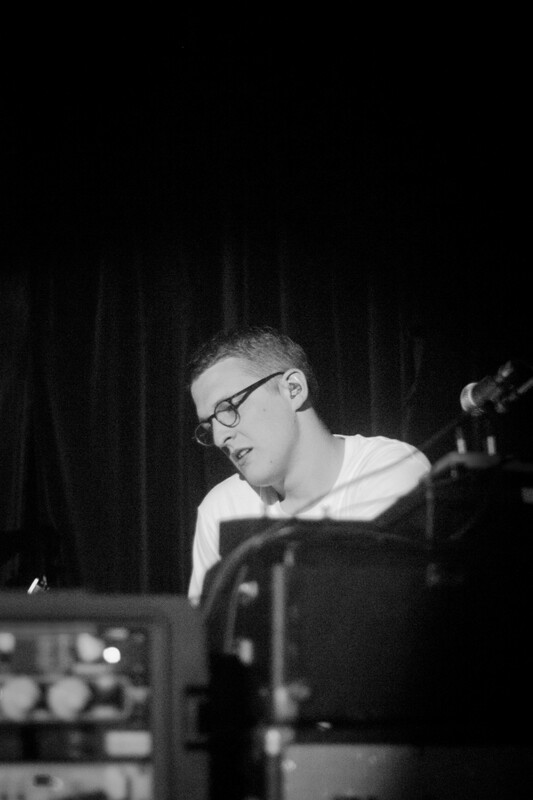 As the focused groove of Floating Points’ experimental jazz began to build, the centerpiece of the group’s live production was revealed. 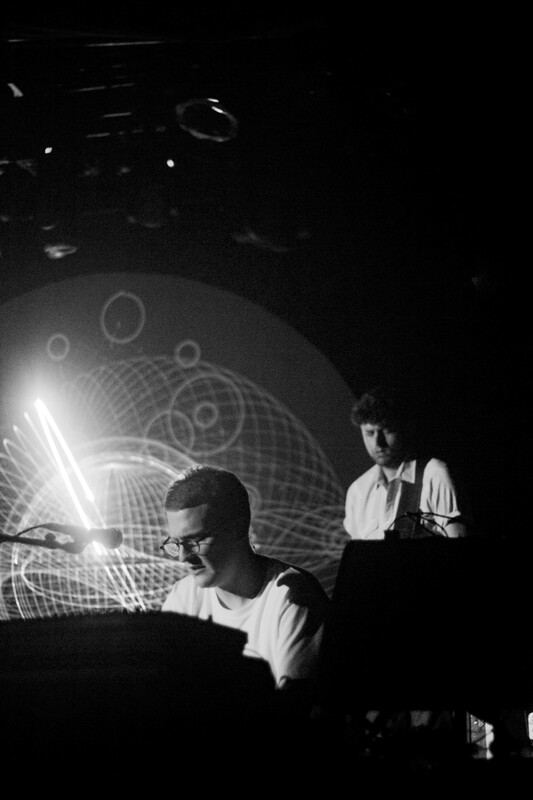 An intensely bright laser projected onto the screen that centered between the band, while geometric shapes and patterns were drawn that left a glow-in-the-dark trace. 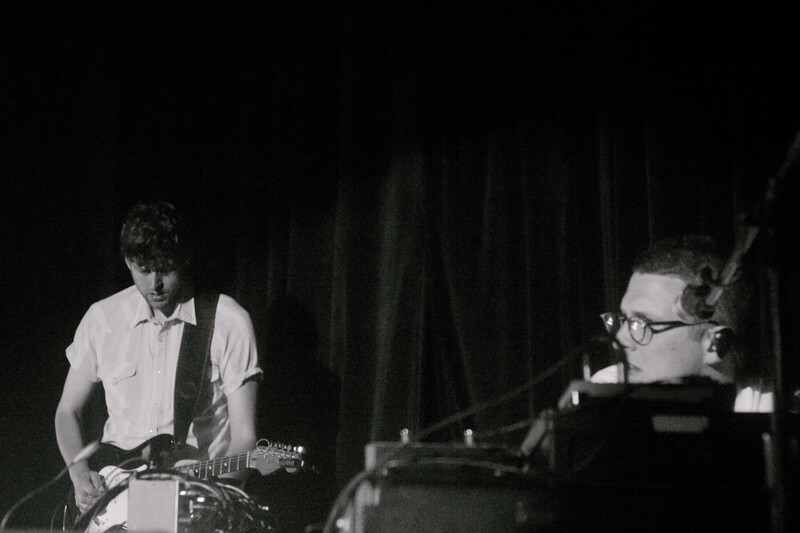 The band continued building on its rhythms and melodies, creating a hypnotic feeling that was filled with textured synthesizers, guitar pedals and consummate percussion, as laser patterns reflected each rise and fall during its lengthy jam sessions. 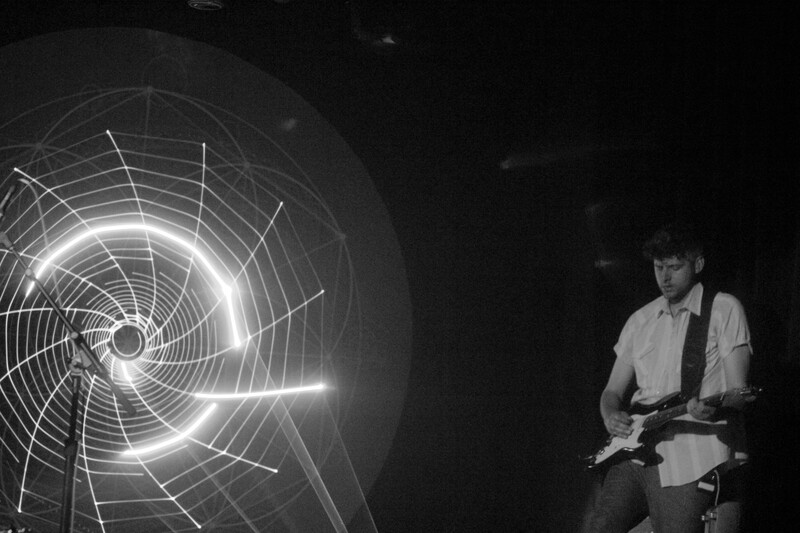 As Sheppard and his sidekicks progressed through each track, the complexity of the laser projections grew into optical illusions that, almost like another musical instrument onstage, intertwined with the style and progression of the band’s production perfectly. With each song reaching a climax and eventual denouement, the artwork remained untouched for a few minutes so that fans could observe each piece before their very own eyes. 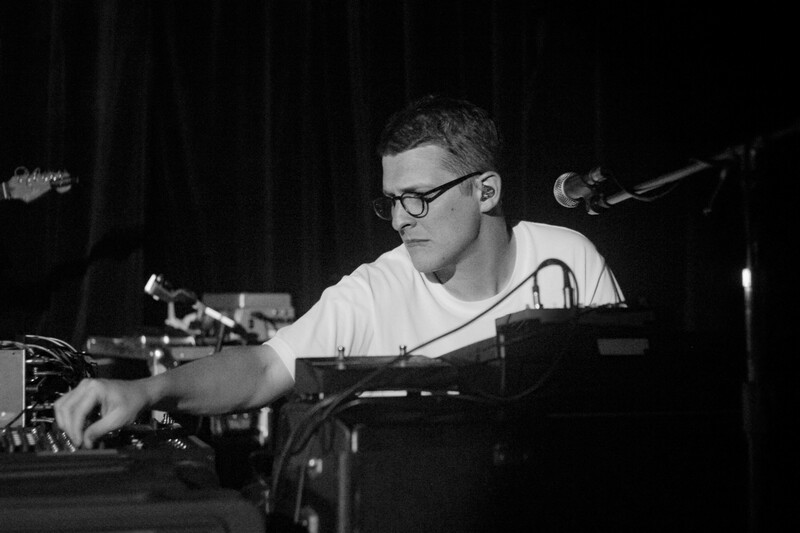 The design and execution of Floating Points’ show was quite impressive, in part because it was clearly arranged to both sonically and visually keep the crowd engaged for the entire 75-minute performance. When each track faded and transitioned into the opening ambient noises of the next, a beautiful geometric design was fully visible before it disappeared, at which point a new design was created. Thus, as each new screen projection was produced layer by layer, so was the song. 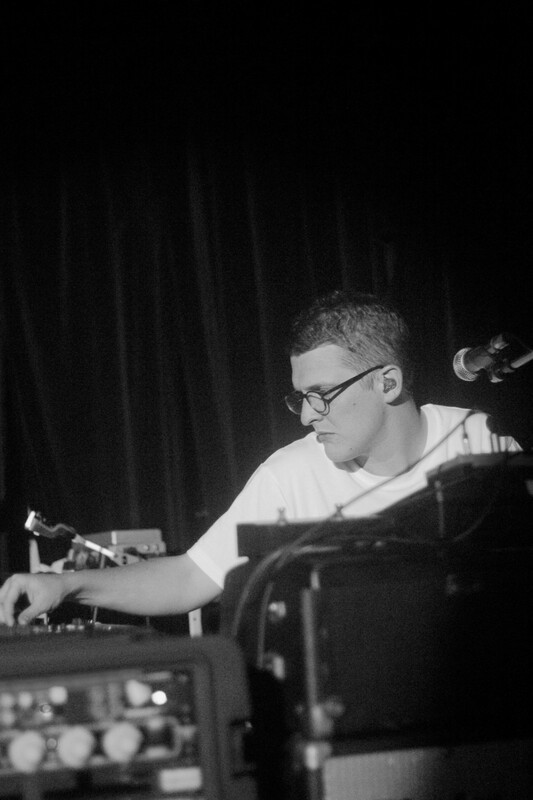 Closing with the epic “Peroration Six”, Floating Points exhibited a truly different electronic music experience, bringing new sonic and visual elements that are hard to come by at the moment. While the technology is there for everyone, it takes true talent like Sheppard’s to create an experience like this one. It was truly a night to remember and an artist to watch down the road.